Surround yourself in the modern comforts of an apartment for rent at 1001 Ross in vibrant West End Dallas. Our picturesque 1, 2 & 3 bedroom apartments are inspired by industrial design. 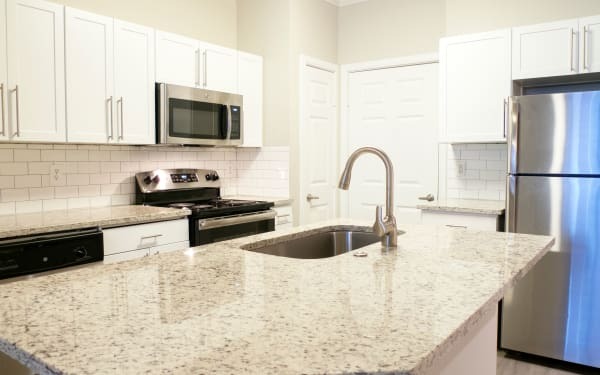 Enjoy an open-concept floor plan complemented by a gourmet kitchen with stainless-steel or black appliances and granite countertops in select units. Select floor plans also feature a wrought iron spiral staircase and exposed brick walls. 1001 Ross offers you an urban oasis, just steps from the best shopping, dining, and nightlife in Dallas. 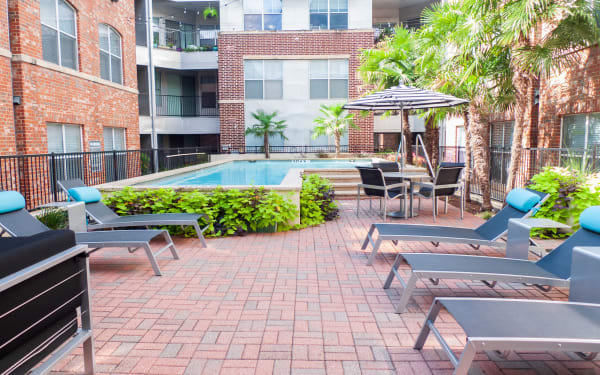 Enjoy living within walking distance of the West End DART Station and the Dallas Art Museum. Ready for a break? Return home to the comforts of our community. Go for a run on one of our state-of-the-art treadmills overlooking the Club Room. Soak away the stress of your day in our sparkling resort-style swimming pool. You can even take advantage of spacious on-property storage options to accommodate items like mountain bikes or other seasonal sports gear. View our amenities in person. Reach out to our professional leasing office to schedule your tour today.